Gray grey Wholesale dupioni silk fabric. Brand New High-end dupioni silk yardage. 45 inches wide. 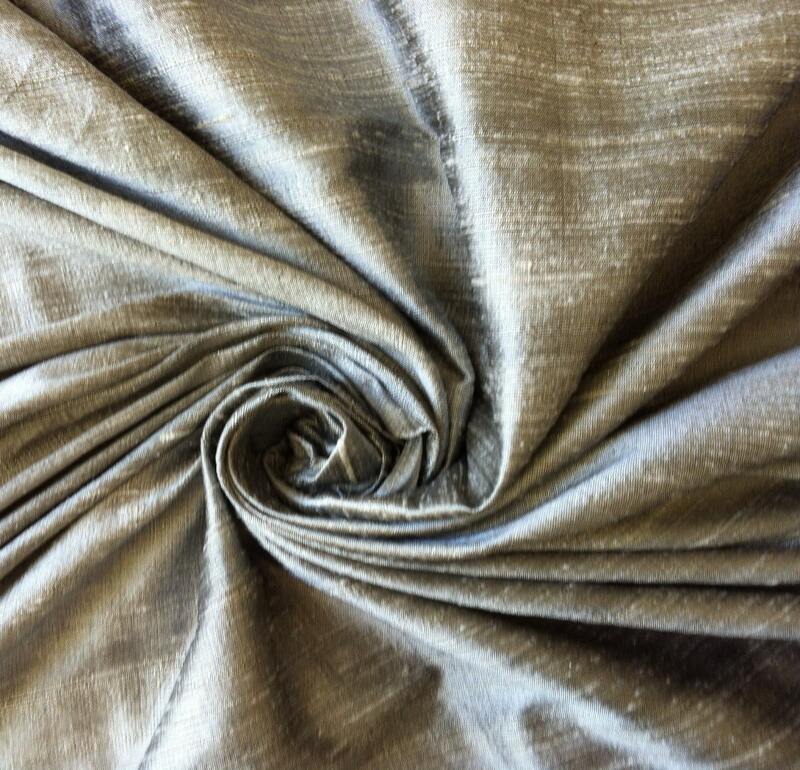 This is a gorgeous tone-on-tone gray dupioni silk. Lighter than this is Pewter dupioni silk and yet lighter than Pewter is Silver dupioni silk. This is for one roll of Pure Gray 100% Dupioni Silk Fabric with a minimum of 32 yards. Please Note: Our rolls vary from 32 to 35 yards and you will receive a minimum of 32 yards for the price. Shipping for the roll is $29.99 in the 48 contiguous US states. Allow 5 to 6 business days for delivery in the 48 contiguous US states.